Marlborough and Hudson look very similar - as they often do. Buyers often look at homes in both towns - so they keep the prices close to each other. Marlborough continues to climb, playing catch-up very successfully on the towns that have moved first. 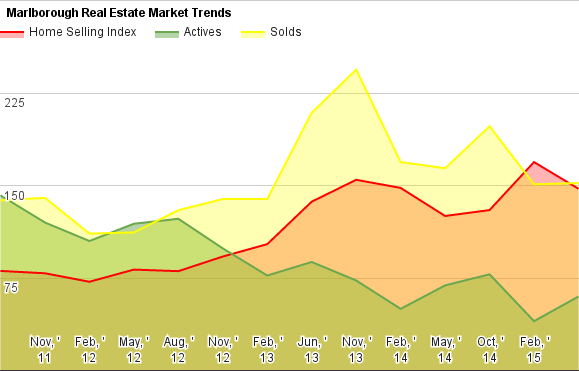 Limited inventory and a fast moving market combine for rising prices. 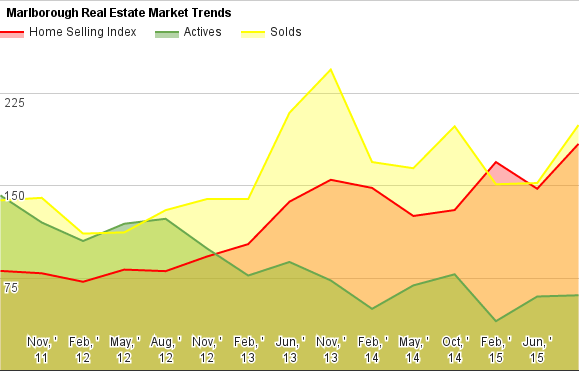 Sellers have noticed, and are reaching for more just as fast. 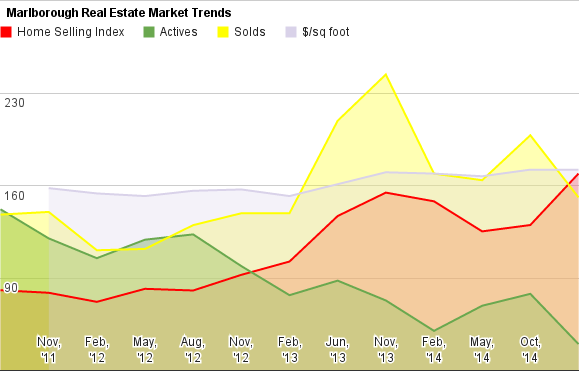 What should active home buyers do in Marlborough? Marlborough had a torrid spring that saw prices move in the largest jump we've seen in a while. But it was short-lived. Seller did take advantage of the price movement though, so many came away happy. Marlborough is always a good reference point for Hudson, which we just did. Hudson looked great for sellers. How's Marlborough? Any records? Marlborough shows that buyers are being discriminating, but I'm not sure how much longer they will be - the number of homes for sale is awfully low.